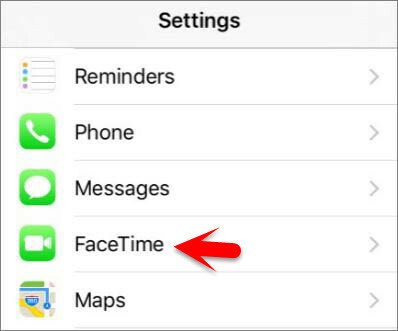 In this article, I am going to show you how to enable facetime on iOS devices including iOS 8, iOS 9 and later. Nowadays every company like apple has it’s on telephony video or an audio product like facetime, this is a video telephony product by apple. that you can video call and audio call within it to your friends. It’s is totally free to use all you need to sign in with your apple id. 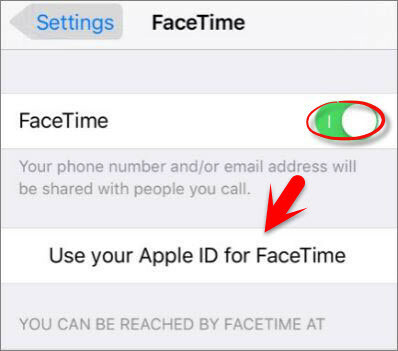 So follow this article step by step to enable Facetime on iOS Devices. Facetime is a video telephony product, by facetime you can do high-quality videos calls or high sound quality audio calls. Facetime is a video telephony product like skype, yahoo messenger, IMO, Viber and other products. It was developed by Apple Inc, on June 7, 2010, facetime was announced by apple CEO Steve jobs in conjunction with iPhone 4, and finally release on September 8, 2010. Apple bought “Facetime” name from facetime Communications, who changed their name to Actiance Inc. it is available for mobile devices running iOS and on mac books or computers running Mac os x 10.6.6. As I mentioned below, facetime has 2 version services, audio call, and video call. the video version of facetime supports any ios device that has forward facing camera or iSight camera and apple computers equipped with facetime camera. but the audio version is available for any ios device running iOS 7 or newer, and any mac books or computers with a forward facing camera running mac os x 10.9.2 and later. Step #1. Go to Settings then scroll down to FaceTime and tap on it. Step #3. 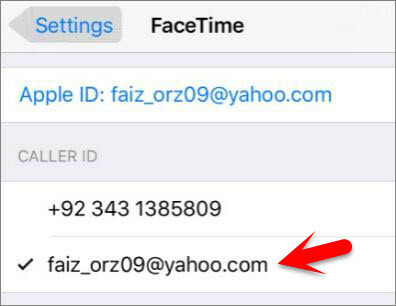 Enter your Apple ID with Password then tap on Sign In button to use your apple for Facetime, if you don’t have an apple id then create your on id by the article how to create an Apple ID om iPhone, iPad or iPod Touch. Step #4. 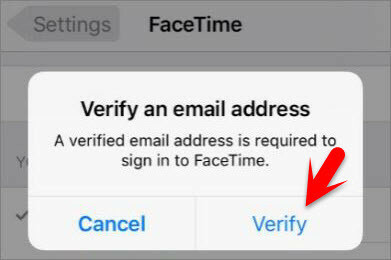 Sometimes it asks you to verify your apple id to use facetime if it’s asked then tap on Verify button from the Verify an email address dialog box. Step #5. 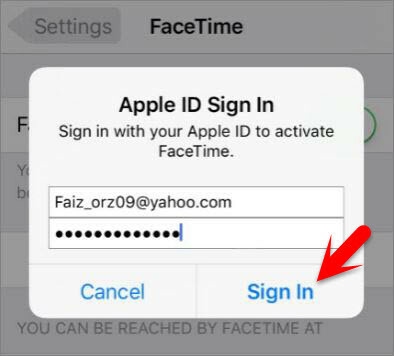 Sign In with your apple id and password then it will verify with your Apple ID then close safari and get back to Facetime. Step #6. Choose from which Emails or mobile phones you can be reached or contact, to add another email tap on Add An Email, then go forward to add your new mail. 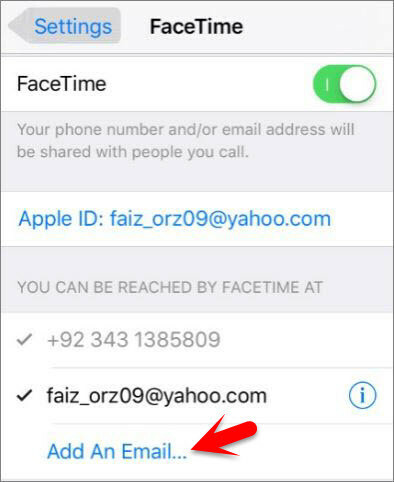 Note: When you add another email to “You Can Be Reached By FaceTime AT” then it will also ask to verify once, to use the email. Step #7. Choosing your FaceTime Caller ID, select one of they Emails or mobile phones to appear in during outgoing Facetime calls, no matters it’s an audio or video calls. It means when you call someone then it will show your caller id that you’re selected. Also Read: How to Enable and Customise AssistiveTouch on iOS Devices? This was all about how to enable FaceTime on iOS devices. If you faced any problem tell us below by comment, feel free to tell us. we’re waiting for your suggestion. Are you using a Beta version of iOS version on your device? Please give me a little more information how it hidden from screen if you’re not using a beta version. It may be disabled from Restrictions settings on your iPhone. 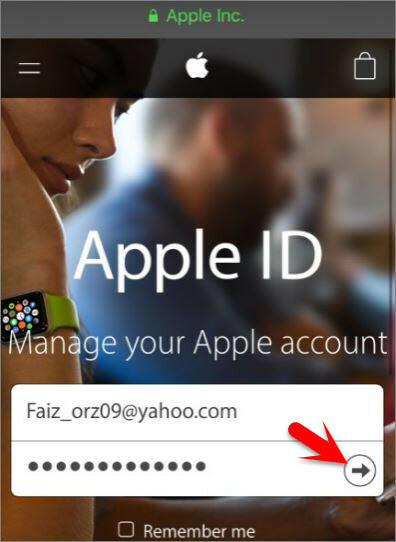 Get help by this article: How to Enable and Use Restrictions on iOS Devices?